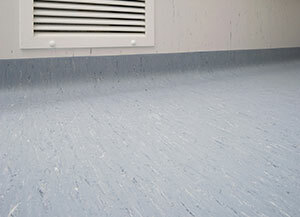 The Polyclad family of wall and ceiling claddings featuring a polyurethane surface treatment provides a tough and attractive finish for all non-floor surfaces that is ideal for wet and hygiene critical areas. 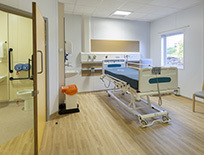 Other use areas include clean rooms, laboratories and the pharmaceuticals industry, as well as food processing plants and kitchens where hygiene, low maintenance and economy are important. Polyclad features a polyurethane surface treatment that provides benefits in terms of hygiene and ease of maintenance. Welded Polyclad creates an impervious, continuous surface that offers no sanctuary to dirt and bacteria and will not shed dust. 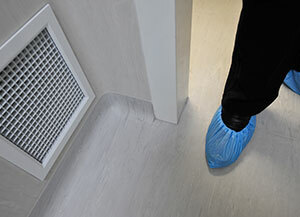 It is recommended that Polyclad is used in conjunction with the Polyflor range of vinyl floorcoverings. Polyclad is 100% recyclable and contains 25% recycled material. Polyclad Pro PU has been specifically developed to meet the advanced requirements of today’s medical, science and electronics industries and achieves ISO1466-11999 Class 4 for clean rooms; here are just a few typical examples of use areas: hospitals, clinics, laboratories, clean rooms, semi-conductor manufacture, precision machinery manufacture, pharmaceutical plants, and food processing plants.